It was revealed this Wednesday that both Zlatan Ibrahimovic and Wayne Rooney are nominated for the MVP award in this MLS season. Absolutely nobody can deny the tremendous impact that both Zlatan Ibrahimovic and Wayne Rooney had on the MLS right after they arrived, both players received the proper compensation for it by getting a nomination for the MVP award in the MLS season. The Swedish striker was arguably the loudest of both players when he arrived, getting gravely injured before coming to the United States didn’t matter to the great Zlatan Ibrahimovic. The same type of knee ligament injury that made Brazilian Ronaldo suffer so much throughout his career, wasn’t enough to stop Zlatan’s triumphant return to football and he has already scored 22 goals, he has assisted his teammates 10 times, and he was just one victory shy of getting the LA Galaxy to the MLS playoffs this season. Unfortunately for Zlatan, the California side was already on a negative dynamic that not even he was able to change. But despite his exclusion from the final stages of the tournament this season, Zlatan Ibrahimovic did get nominated for the MVP award, Best Newcomer, and Comeback Player of the Year. 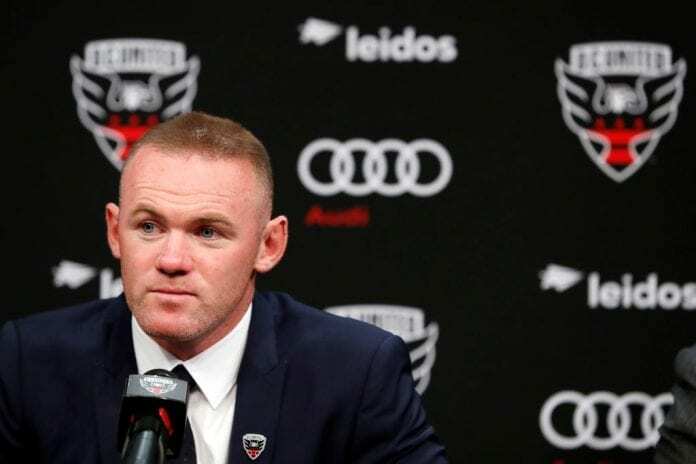 Contrary to how fast Zlatan Ibrahimovic’s grew in both popularity and game level, Wayne Rooney’s story for DC United is very different but not less spectacular than the Swedish striker’s. The all-time top scorer for England and Manchester United is a very private family man, he has never liked the public life and he decided to come to the MLS looking for that anonymity that he embraced wholeheartedly in the United States. But Wayne has never been shy inside the football pitch, his impact was greater than Zlatan’s for the league because he did help his club qualify to the MLS Playoffs with his goals and assists. Rooney only got to score 12 goals throughout the 20 appearances he made for the club from the capital, but his influence was a lot more significant because he managed to motivate all his teammates in order to become a better squad that nobody dares to rule out as a title contender during the Playoffs. This impressive first season got Rooney the nomination for the MVP Award, as well as the Best Newcomer nod alongside Zlatan Ibrahimovic. Quiz: How much do you know about Carlos Valderrama? Let's find out how much you really know about Carlos Valderrama, one of Colombia's greatest players ever. You get 10 questions. Enjoy! But further from the obviously deserved recognition that both players got with these nods, we need to talk about the excellent decision that both DC United and LA Galaxy made when they brought two of the game’s best players in recent history and gave the MLS a major push in the right direction. Hopefully in the future, more clubs from the league can follow the example of both clubs, and they also decide to bring in players of this level who can help the competition in the United States grow exponentially. Also, having some of the best players in the world playing in the MLS, will help all Americans get more involved with football soccer and get that bug that the rest of the world has for the beautiful game. We still aren’t sure who will be the MVP for this MLS season, but we sure as hell are happy that the list has two of the most prestigious players in football history and we seriously hope that one of them wins the prize by the end of the season. Who deserves the MVP Award for the current MLS season? Please share your opinion in the comment section down below.